The steady paycheck provided by the military can create a false sense of security, which can easily discourage savings. Many of America's military service members and veterans report that financial stress is hurting their emotional and mental health as well as their ability to set future goals. Among the respondents to a 2017 Military Family Advisory Network survey, a staggering number - 92.5% - reported they have debt, while 44% of the group reported financial stress is detrimental to their emotional and mental health. The report detailed the financial burdens of 5,650 in active military service, veterans and their family members. What it uncovered is a problem that for many American military families runs deeper than simply taking on too much debt. The majority - 60% - said they do not have enough savings to cover three months of living expenses. Some respondents said they struggle to provide basic needs like food and child care, and 49% reported an unwillingness to further their education because of financial barriers. In short, the Military Family Advisory Network report said military and veteran families have a hard time getting ahead financially. While civilians may have similar financial struggles, Joseph "J.J." Montanaro, a certified financial planner with USAA, which provides financial products and services for the military community, said those struggles can be compacted for military families because of the military lifestyle. Nearly one-third of respondents in MFAN's report said they have moved three to five times, and 79% of all respondents said moving caused high financial stress. "When you don't know when the next move is going to come, while the government covers the majority of expenses with a move, there are always going to be those things that aren't covered - something as simple as putting the kids in new sports programs or paying all the deposits on your utilities," said Montanaro. Bruce McClary, spokesman for the National Foundation for Credit Counseling (NFCC), attributes the largest financial concern to relocation. McClary worked as a financial counselor for military families and saw the issue of relocation resurface several times. "When you're relying as much on a dual-income household, and you have to relocate because of the job of one spouse, whether you're military or not, that's going to cause some disruption," McClary said. Despite the logistical and financial support from the military, McClary says there could be immediate or lasting impacts on the family's financial resources if the civilian spouse has to find a new job with possibly lower income. Although military families have more job security than other sectors, Montanaro said that steady paycheck can create a false sense of security, which can easily discourage savings. In some of cases, families or individuals won't set aside funds for emergency situations because they feel as if they have a guaranteed income. Furthermore, service members returning from long deployments overseas may seek to make up for lost time, he said, and make spending decisions that are based on emotions (like buying a new car or going on a family trip) but don't make the most financial sense. "When you look at the military culture, it puts a premium on independence and taking care of yourself and not being a burden," Montanaro said. "It's not necessarily a culture that ingrains the idea of asking for help." Lack of savings and a desire to manage matters themselves can also leave military families searching for ways to fill in the gaps. Those who do not have much experience managing money may be vulnerable to predatory lenders and aggressive debt collectors. Predatory lending, whether through auto financing or payday lenders, starts with living beyond your means, Montanaro said. By volume, debt collection - including attempts to collect a debt not owed - tops the list of service members' complaints to the Consumer Financial Protection Bureau and outstrips similar complaints made by nonservice members in every state and territory, except North Dakota, where it comes second in the list of complaints. Every military installation has a personal finance management program, on-installation counselors, and on-base advisers that can help answer financial questions, Montanaro said. "Look to those on-base or on-installation resources, because they're there for the express purpose of helping military members get to a better place financially," he said. NFCC and Military OneSource: The nonprofit NFCC partners with Military OneSource, which offers strategies to help service members consolidate and pay down debt, as well as save for retirement or college and create financial plans. The NFCC, which is the longest-serving and largest national nonprofit financial counseling organization in the U.S., also has a branch specifically to help with military families' debt relief. Financial Institution Regulatory Authority: The Financial Institution Regulatory Authority (FINRA) offers a fellowship program for military spouses to earn an Accredited Financial Counselor certificate and to develop financial skills. The program is in partnership with the National Military Family Association, and there is no cost to participants. More than 1,480 fellowships have been awarded since the program began in 2006; applications are accepted until the end of April. ClearPoint Reconnect: The program provides online and phone counseling in English and Spanish, online financial education (courses include Managing Financial Stress and Reshaping Credit) and identifies local resources to help veterans reach their short-term financial goals and create economic stability. The counselors are knowledgeable about opportunities through HUD, FDIC and the U.S. Department of Veterans Affairs. ClearPoint has partnerships with organizations such as New Directions for Veterans and Operation Homefront. ClearPoint, an Atlanta-based division of Money Management International, says there is no cost for military service people to participate. Consumer Financial Protection Bureau's Office of Servicemember Affairs: The CFPB, a government agency that makes sure banks, lenders and other financial companies treat consumers fairly, recognizes the unique financial challenges military families face. CFPB's Office of Servicemember Affairs monitors complaints, and offers tools and resources to assist military homeowners, make student loans more affordable, provide predatory loan protections and recover money for military members who have been targeted by scams and illegal practices. Operation First Response: For more immediate help, Operation First Response offers financial assistancefor groceries, utilities, rent and clothing to veterans suffering from physical disabilities and mental distress. In 2017, the nonprofit helped 1,366 veterans, with the average grant size between $500 and $1,500. This week at CBPP, we focused on the federal budget and taxes, food assistance, poverty and inequality, housing, Social Security, state budgets and taxes, and the economy. On the federal budget and taxes, Tazra Mitchell explained that President Trump’s budget would make it harder for many to work and gain the skills necessary to get ahead. Richard Kogan warned that a constitutional amendment requiring a balanced budget would post serious risks to the economy. Janne Huang celebrated the Volunteer Income Tax Assistance program, which provides free tax preparation services to millions of low- and moderate-income taxpayers. On food assistance, Brynne Keith-Jennings and Raheem Chaudhry foundthat most working-age SNAP participants work, but often in unstable jobs. 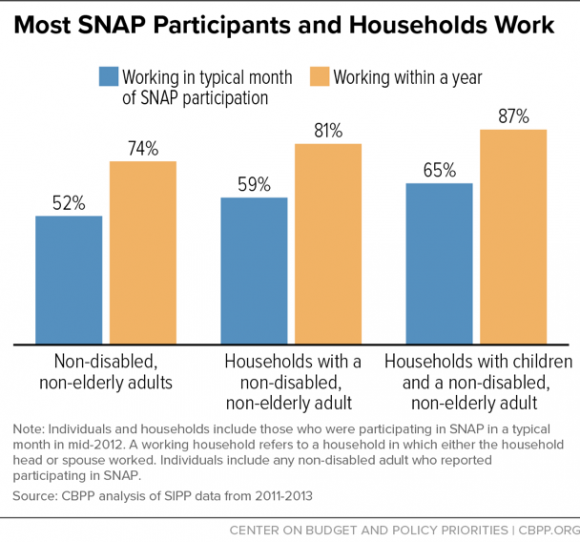 Keith-Jennings showed that SNAP helps workers supplement low wages and helps them between jobs. Catlin Nchako and Lexin Cai took a closer look at who benefits from SNAP in updated state-by-state fact sheets. On poverty and inequality, Mitchell argued that neither work requirements nor President Trump’s budget would help struggling workers. On housing, Will Fischer pointed to two recent reports that bolster the case against the Trump Administration’s housing proposals. On Social Security, Kathy Ruffing noted Social Security Disability Insurance’s importance to women workers and their families, and she highlighted five facts about women and disability insurance. On state budgets and taxes, Elizabeth McNichol explained that the Senate Democrats’ new infrastructure plan would boost the economy. Last month, we proudly carried your voices and stories to the halls of our nation's Capitol. We delivered over 480 signed postcards to Senators Heitkamp and Hoeven - asking them to Stand Up for SNAP. 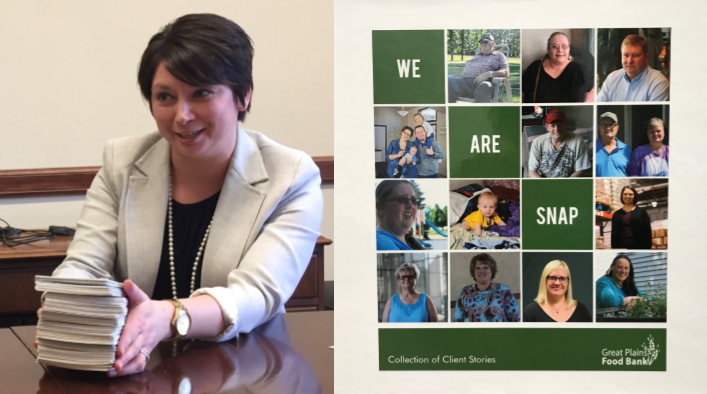 We also presented them with a "We Are SNAP" story book highlighting the stories of 14 North Dakotans who are currently on or previously on SNAP. Our hungry neighbors need a strong Farm Bill that protects and strengthens federal nutrition programs. We will continue to amplify your voices and encourage you to speak up and stand up for SNAP. You never know what you'll find in DC. After visiting with our Senators, we stopped for lunch and saw this quote on the restaurant wall! 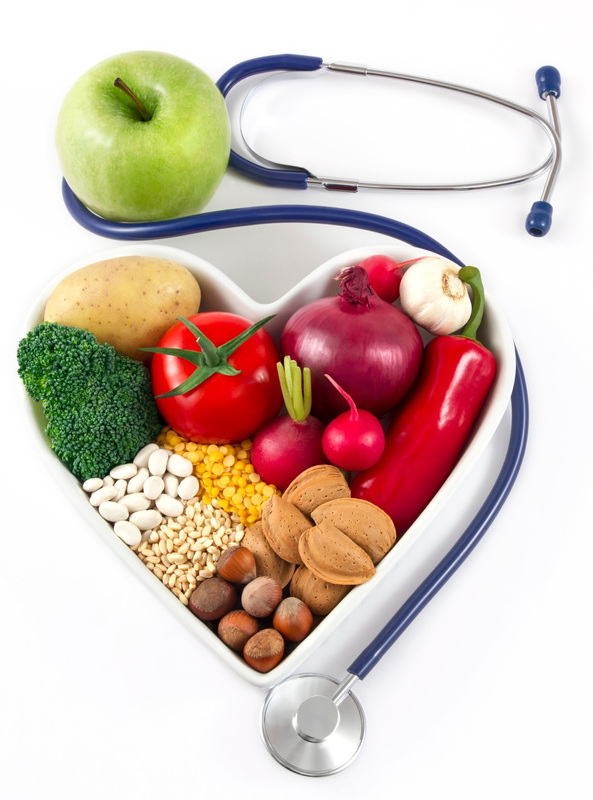 If food alone was the answer to hunger, we would have solved it by now. But we haven't. That's why we launched Ending Hunger 2.0 in February, with press conferences in both Fargo and Bismarck. Ending Hunger 2.0 is the Great Plains Food Bank's bold next step in hunger relief. It's a new approach to ending hunger that's focused on addressing hunger and its root causes holistically through advocacy, research and community based solutions. Our inaugural partner of this ground-breaking work is Sanford Health. We are teaming up with Sanford's Birth Designers to ensure that first time mothers have proper and adequate nutrition at home. They'll screen mothers for food insecurity and if needed, offer them a bag of food immediately, while connecting them to local food pantries and SNAP for longer term food assistance. We could use your help! Next time you are at the grocery store, could you pick up a few of these items? Or could you host a food drive? Clickhere to find a list of the requested items. Thank you so much! 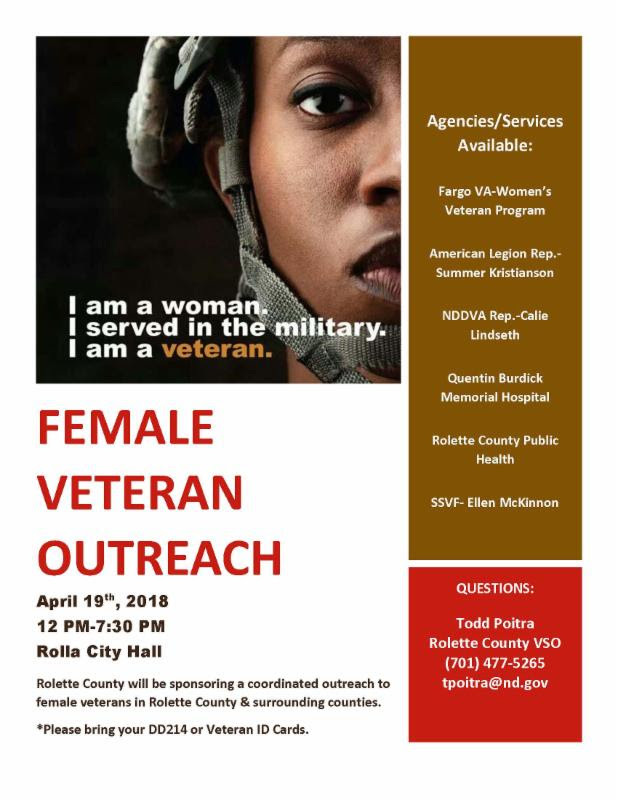 Rolette County will be sponsoring a coordinated outreach to female Veterans in Rolette County and surrounding counties. WASHINGTON, March 21, 2018 — Nearly 1.1 million low-income children benefited from afterschool suppers in October 2016, up from just 200,000 children in October 2011, according to the Food Research & Action Center (FRAC). Today, FRAC released Afterschool Suppers: A Snapshot of Participation, it’s first-ever report on participation data in the Afterschool Nutrition Programs, which play a key role in reducing hunger and supporting quality afterschool enrichment programs. When is bipartisanship not a good thing? 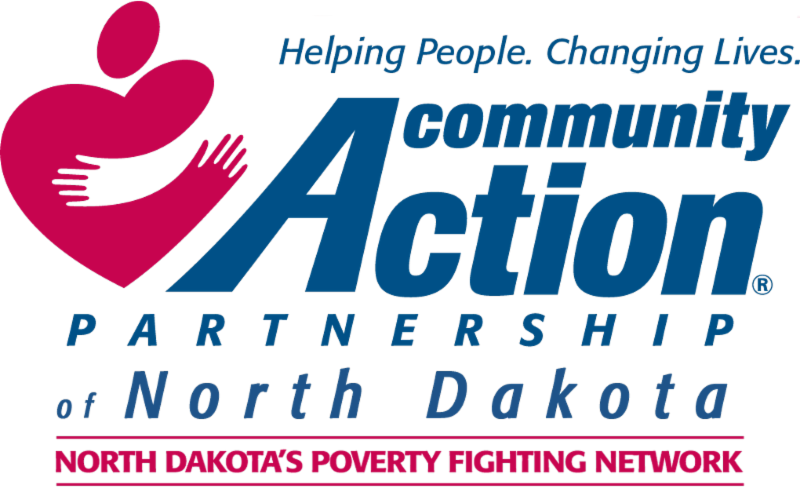 When it means Democrats and Republicans joining forces to do the bidding of banks and big corporate lenders at the expense of North Dakota families. Sadly, that's the backstory of a big Wall Street deregulation bill -- S. 2155 -- that has gained the backing of a group of U.S. Senators including our own Heidi Heitkamp. 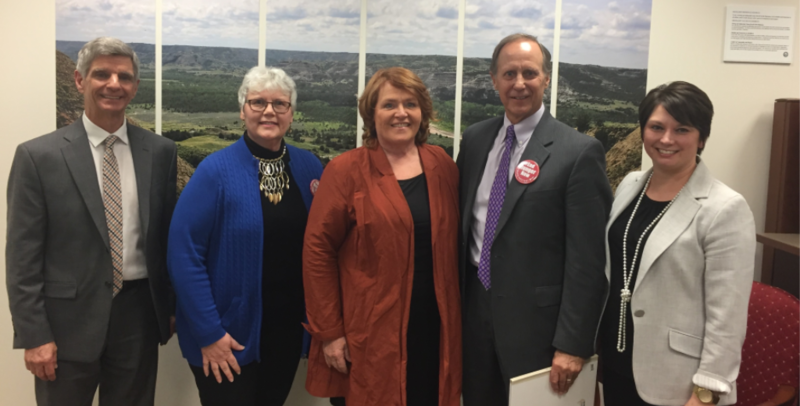 Senator Heitkamp is one of twelve members of the Senate Democratic caucus who have partnered with twelve Republicans to cosponsor this legislation. Thanks to their support, it could come to a vote on the Senate floor any day now. In the name of promoting “economic growth” in rural communities and providing “regulatory relief” for community banks and credit unions, S. 2155 would make our economy less secure by letting 25 of the biggest Wall Street banks revert to the reckless and slippery behavior that triggered the worst recession in national memory. This bill would also roll back safeguards against tricky or discriminatory lending, and it would create especially big risks for those who take out loans on manufactured homes. The manufactured home mortgage market dominated by a handful of national lenders and ridden with conflicts of interest. Two of the biggest lenders, 21st Mortgage and Vanderbilt, are tied to Berkshire Hathaway, which owns Clayton Homes, the nation's largest manufactured-home builder and retailer. Such hidden connections encourage sellers to steer buyers toward high-cost loan products from allied companies -- and away from more affordable loans offered by competitors. S. 2155 would let manufactured-home sellers push affiliated loan products as long as they give consumers at least one alternative. That's an invitation to the seller to point to a more expensive option in order to make the in-house choice look like the best deal. And there is nothing in the bill to stop salespeople from getting kickback payments from lenders as a reward for pitching their loans. In addition to perpetuating the conflicts of interest and loan-steering that have long plagued this industry, this measure would discourage new lenders from entering the market and undo important steps taken by the Consumer Financial Protection Bureau to give manufactured homeowners the same basic loan safeguards as other homeowners. Bottom line: more people will be sucked into dangerously expensive loans at, say, 13 percent interest instead of 6-8 percent interest. In short, this bill does a terrible disservice to the low-and- moderate-income and elderly Americans and people with disabilities who make up a disproportionate share of the manufactured-home population. It would make homeownership more costly for those who can least afford it. There was a moment late last year when it looked like Senate banking committee Chairman Mike Crapo (R-ID) might have to abandon his effort to build bipartisan support for what was shaping up to be a giant bank giveaway bill. Unfortunately, Senator Heitkamp kept the talks going and wound up endorsing this one-sided legislation. Writing in the Fargo-Moorhead Forum last week, two North Dakota bank executives praised Heitkamp for serving as “a key player in the negotiations.” She should think harder about the implications for the citizens and homeowners she is sworn to represent. If she does, she will reconsider her support for a bill that, with all its giveaways to the financial industry and all its perils for the rest of us, represents bipartisanship at its absolute worst. Morgantown, W.Va. — The rolling hills of West Virginia, where I grew up, are home to some of my fondest memories. But time and time again, I’ve watched them serve as a backdrop to injustice and negligence by those who lead, often at the expense of a vulnerable population. This time, it’s our schoolchildren. Join AFSCME, AFL-CIO, Jobs With Justice and the National Women’s Law Center for a live conversation on how to prevent and combat sexual harassment in the workplace. AFSCME Secretary Treasurer Elissa McBride, AFL-CIO Secretary Treasurer Liz Shuler, Jobs With Justice executive director Sarita Gupta and National Women’s Law Center president Fatima Goss Graves will be live for a conversation on a topic everyone is talking about: the pervasive harassment women face at work and the strategies to fight back. You’ll have a chance to ask questions and be part of the discussion. This is an opportunity to get answers and advice on dealing with and preventing sexual harassment in the workplace, your rights on the job, and our fight for equality in the workplace.